Chautauqua Industrial Art Desk and accompanying Home Teacher book. This is a fold up 'desk', for use on a table or can be mounted on a wall. 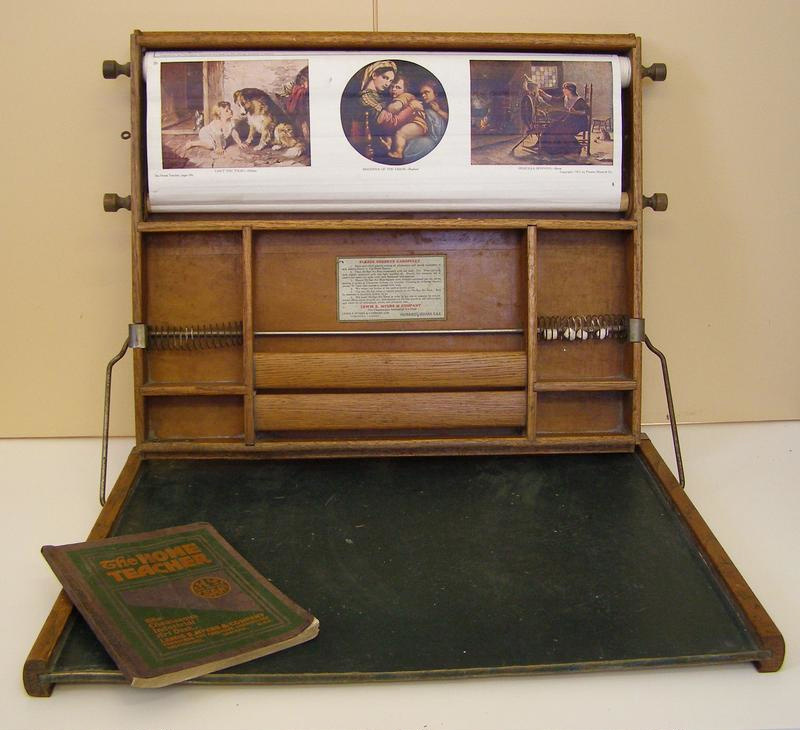 It features a "Hy-San" art slate for placing writing or drawing on and a roller with a sheet of various educational art illustrations including the human figure, handwriting, technical drawing, geographical, biological and botanical illustrating. It was designed to teach children how to draw a variety of subjects well, giving them a 'head start' their artwork at school. The Home Teacher book is designed to accompany the art desk's pictures by providing a lesson guide for home teaching children for each picture. 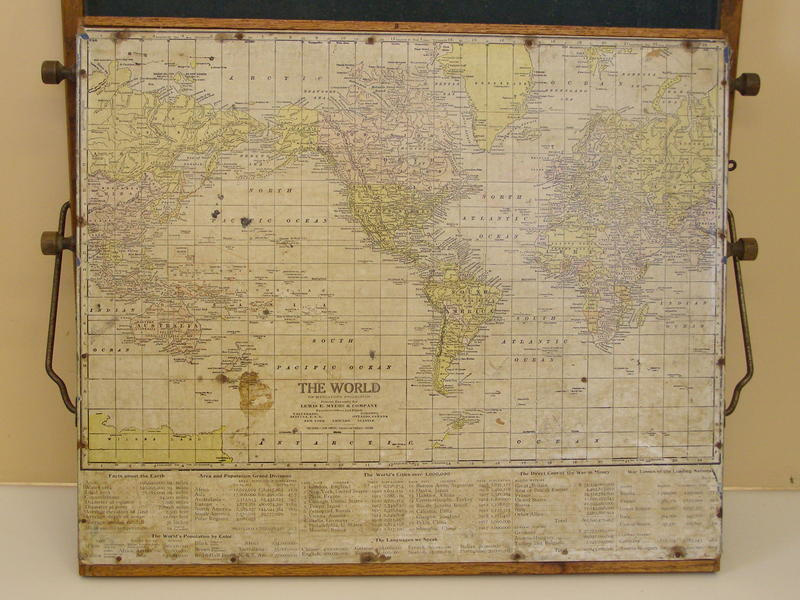 The donor remembers his grandparents having school aid and using this in their home. I have an artdest almost in mint condision including the instruction book. The "artdesk" belonged to my mother born i Summit NJ 1910. When she returned back to Sweden 1927 her familu brought the "artdesk" back to homeland. As I'm going to New York in February I wonder if there are someone who have an intrest to give me a bidd and if it is of interest I'll bring the "artdesk" with me.